Epstein-Barr virus (EBV), Cytomegalovirus (CMV) and Human Herpesvirus 8 (HHV-8) occur as silent lifetime infections in the vast majority of people. But when there is immunosuppression they reactivate to cause disease. CMV is particularly problematic in organ transplant recipients and patients with AIDS. Clinical data: The patient was a 24 year old man who suffered from chronic renal disease. A renal transplant was performed, but despite immunosuppressive therapy his renal function deteriorated. He became pyrexial and developed a staphylococcal septicaemia. 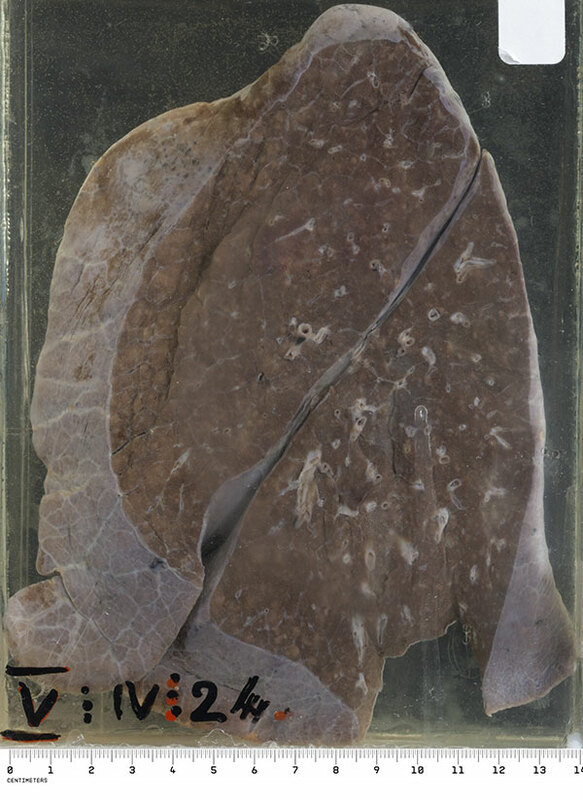 Macroscopically: At post mortem his lungs were dark plum-coloured, with the external surfaces showing prominent lymphatics. The cut surfaces contained ill-defined pale nodular lesions. H&E stained lung section showing typical owls-eye inclusions. 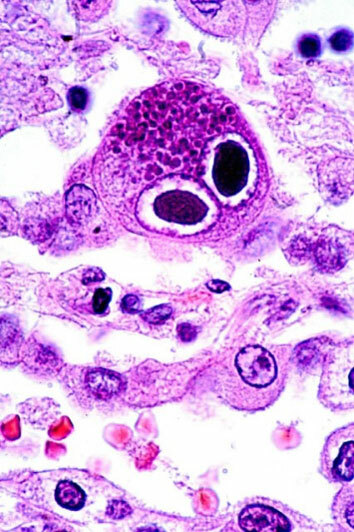 Comments: Aside from pneumonitis, common manifestations of CMV disease in the immunosuppressed are oesophagitis, colitis, hepatitis or retinitis. The treatment strategy is to reduce immunosuppression, in combination with the antiviral drug ganciclovir. 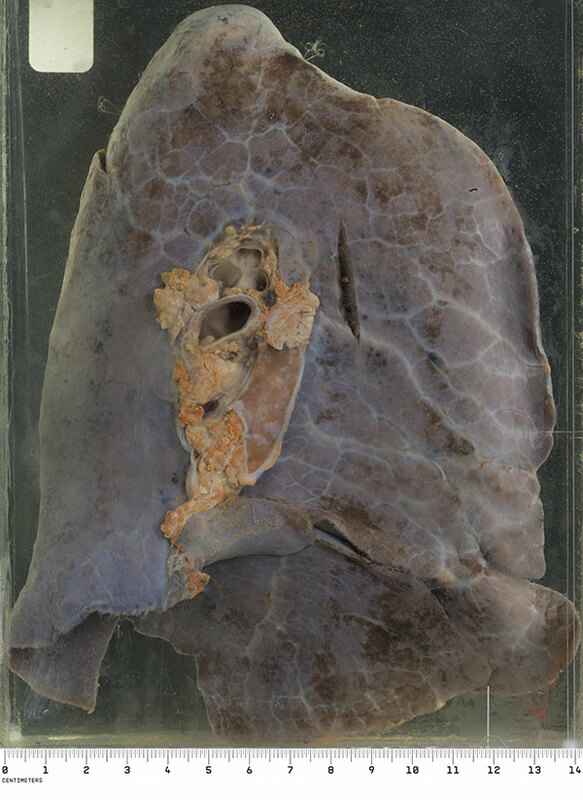 In South Africa CMV pneumonitis is most commonly seen in un-treated HIV-infected infants.